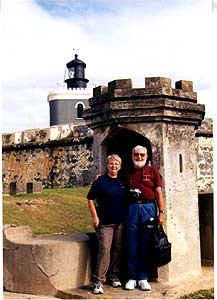 "Lighthouses of Puerto Rico". (Faros de Puerto Rico). Someday we hope to have a print book, but so far have not found a publisher. & 14B. The Ruins of first Point Borinquen "the Ruins of Aquadilla"